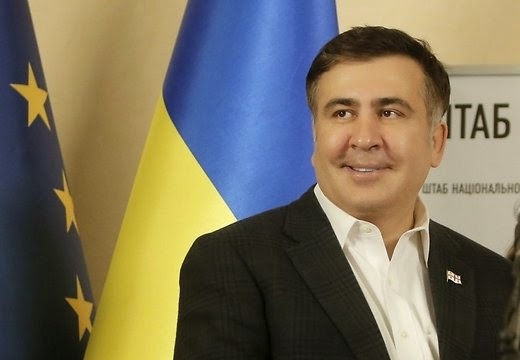 Georgian Foreign Ministry has “invited” Ukrainian ambassador in Tbilisi, Vasyl Tsybenko, “to talk on many issues” including about appointing Georgia’s ex-President Mikheil Saakashvili, who is wanted by the Georgian authorities, as Ukrainian President Petro Poroshenko’s adviser, Georgian Foreign Ministry spokesperson, Davit Kereselidze, said on February 16. He said that although this appointment was “surprising” to Tbilisi, the Foreign Ministry’s spokesperson also stressed that “nothing will obstruct” strategic partnership between Georgia and Ukraine. After exchanging barrels of criticism, Georgia’s two main pro-western political parties deny likelihood of future political alliance. At least one of them, Free Democrats of the former defense minister Irakli Alasania, is obviously firm in its loath toward alliance with Mikheil Saakashvili’s United National Movement. In an unlikely sharp remark, former diplomat Alasania called Saakashvili ‘Baron Münchausen’, referring to the fictional German nobleman, a pathological liar. Georgia has condemned the signing of a border agreement between its breakaway region of South Ossetia and Russia, accusing Moscow of moving closer to annexing a territory it supported in a five-day conflict in 2008. 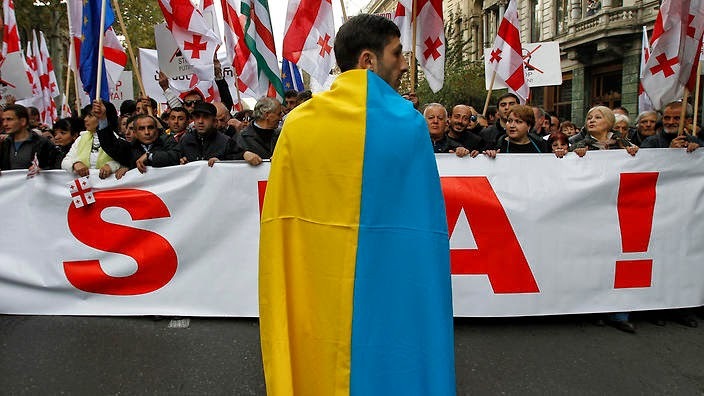 Moscow went further by signing a "strategic partnership" agreement with Abkhazia last November, seven months after annexing Ukraine's Crimea peninsula and throwing its weight behind separatists battling in eastern Ukraine. Russia says it wants to sign a similar document to integrate its security forces and military with South Ossetia's, and Foreign Minister Sergei Lavrov signed a preliminary agreement with his counterpart in the separatist region on Wednesday. "At all the meetings, we conveyed the same message that the US welcomes the cooperation it has build with Azerbaijan over a period of more than 20 years. We want to see an independent and democratic Azerbaijan, and to continue the relations built between the two countries 20 years ago. I’ve been traveling to Baku since 1993. The two countries cooperate in the three areas – security, economy-energy and democracy. We have jointly fought against terrorism and extremism in Afghanistan and Kosovo,” the US official underlined. The assistant secretary said she arrived in Azerbaijan together with regional representatives of the US Department of Defense and European Command. “Discussions are underway on joint exercises, training and strengthening of peacekeeping forces,” Nuland noted. U.S. Agency for International Development (USAID) Acting Assistant Administrator for Europe and Eurasia Susan Fritz will travel to Armenia, Azerbaijan, and Georgia from February 20 - March 5. Acting Assistant Administrator Fritz's visit will include meetings with government officials, civil society, international partners, and USAID staff in these countries. This will be Acting Assistant Administrator Fritz's first visit to the Caucasus in her new capacity. During her trip to this important region, she plans to reaffirm the United States' commitment to working with our partners to promote stable, democratic, resilient societies and support energy security and economic growth throughout the region. 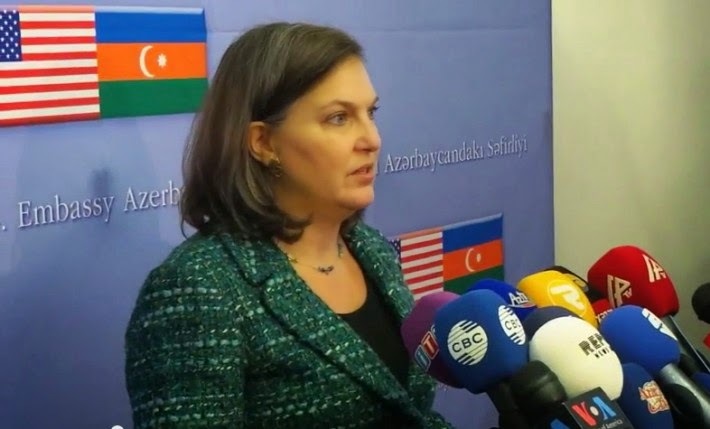 Victoria Nuland should have instead given advice to the Azerbaijan government to petition to the Nagorno-Karabakh Republic (NKR) authorities about the future of the Azerbaijani saboteurs, NKR National Assembly member Gagik Petrosyan told Armenian News-NEWS.am. In his words, Nuland should have expressed her view when Azerbaijan was carrying out acts of sabotage and killing a sleeping man. To note, Armenian lieutenant Gurgen Margaryan was killed in his sleep by Azerbaijani officer Ramil Safarov, and with an axe, during a NATO Partnership for Peace program in Budapest on February 19, 2004. “It would have been better if the US Department of State had focused on the fact that the Azerbaijani saboteurs are killing children. Had they been prisoners of war, perhaps I would have agreed with Nuland; but they are saboteurs,” Petrosyan stressed. The Turkish Armed Forces General Staff Headquarters announced on Saturday that seven citizens of the People’s Republic of China had been apprehended by military forces in the southern province of Hatay. The Chinese nationals were apprehended within the 2nd Border Regiment, Pulluyazı Border Outpost Command area of jurisdiction by border guards as they were trying to illegally enter Syria. 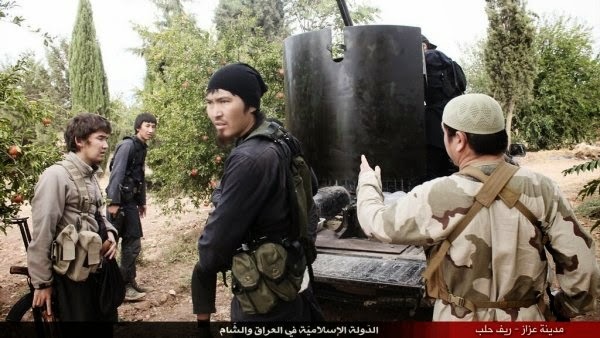 The General Staff Headquarters identified them as hailing from the predominantly Muslim Xinjiang region in northeastern China. The Chinese nationals were handed over to the authorities. Seventeen people have reportedly been hacked, stabbed or shot to death in the latest episode of deadly violence to hit China's far west. Police were searching homes in a town called Yaqaeriq when a group of around 10 people turned on them, giving chase with knives and axes. In the ensuing violence four officials were killed. Police shot dead nine suspects and four passers-by who were apparently caught in the crossfire. Afghanistan arrested and handed over several Muslim Uighur militants from China's west in an effort to persuade China to use its influence with Pakistan to help start negotiations with the Taliban, Afghan security officials said on Friday. "We offered our hand in cooperation with China and in return we asked them to pressure Pakistan to stop supporting the Taliban or at least bring them to the negotiating table," said one of the security officials, who attended a meeting with Chinese officials to arrange transfer of the prisoners.